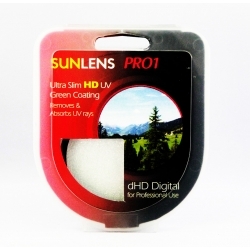 The SUNLENS Pro-1 HD HMC UV Green Filter is nearly colorless and blocks UV radiation up to the limit of visible light. This uv filter can help protect your camera lens against dust, moisture, fingerprints, scratches and damage, It also provides basic reduction of UV light. HOW TO MEASURE THE FILTER SIZE?